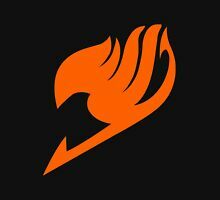 MOD EDIT: Spoilered forum-breakingly huge image. That looks terrible. I see paint scuffs and bumps all over the place. 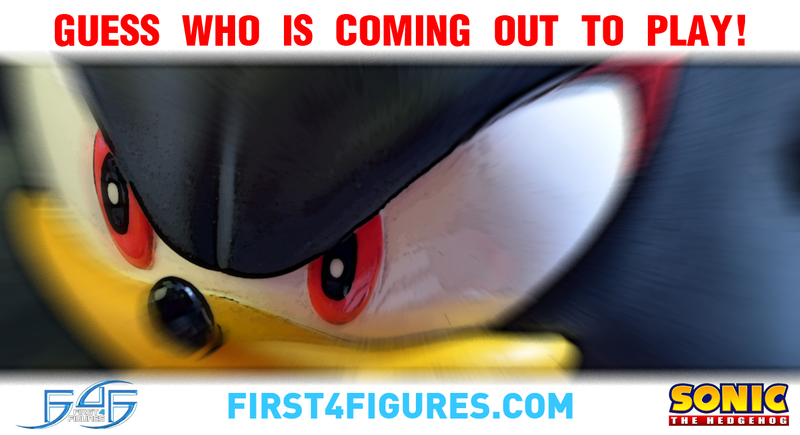 So I'm geussing we're not getting that 3inch classic knuckles figure? Last edited by NxtWaltDisney on Mon Nov 12, 2012 4:56 pm, edited 1 time in total. @Squeaky; You're not the only one. This is supposed to be a limited edition item costing almost a couple of hundred dollars, you'd think they'd want to present a statue that's in highest condition. 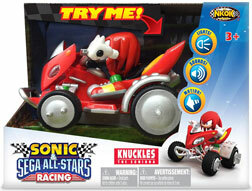 sonicarchie18 wrote: So I'm geussing we're not getting that 3inch classic knukles figure? They said 2013 for it...but if you want my honest opinion, I don't think it's coming either. 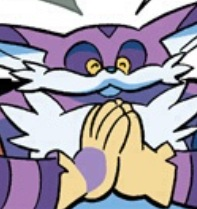 Anyway, I wonder what comics they're gonna add to the Sonic/Blaze &	Shadow/ Rouge packs? For Shadow/Rouge, My guess is SU#2. For Sonic & Blaze however, I got nothin. Fat Panda, look! TRU UK are stocking the super form 3-pack! I mean, for the Sonic/Blaze pack, It could either be SU#1, SU#21, or STH#242, but I think that's about it. Unless they add the Rush/Rush Adventure addaptions with SU#1, I reallydon't know what issue they could add with it. If only Blaze would appear more often. sonicarchie18 wrote: I mean, for the Sonic/Blaze pack, It could either be SU#1, SU#21, or STH#242, but I think that's about it. Unless they add the Rush/Rush Adventure addaptions with SU#1, I reallydon't know what issue they could add with it. If only Blaze would appear more often. Could theoretically be unrelated to Blaze. Sonic #229 was befitting for the classic Sonic figure, but classic Amy wasn't present at all in the Genesis arc. Meliden wrote: Fat Panda, look! TRU UK are stocking the super form 3-pack! Yeah I saw that already, but they're not being sold in my local store. I literally went in store the day after I saw the listing: nothing. Looks like I need to do some online shopping again. On a related note, Toys R Us (my store at least) are now stocking the pull back and go All-Stars Racing cars, the lights & sound racers, and the Meccano/Erector sets. If it was an issue that was actually related to Blaze, my bets would be on any issue from Treasure Team Tango, most likely SU#21 if they wanna get really technical and have a reason for packaging Sonic (since he at least appears on the cover). As for the Shadow/Rouge pack, for some reason, I'm edging towards SU#4 for that one. Anyway, I honestly hope for a Omega/ Cream & Cheese pack, just so they could add SU# 23! heh. Bad to the Bunny. That cover was hilarious! Yup, because somebody else just reporting seeing them in their own local TRU UK. Man, you have all the worst merchandise luck. Any news on the amy accessory pack? And it's not just Amy, there's several figures in the accessory line. Sonic, Tails, Knuckles, Shadow and Silver are also in it if I remember rightly. I know. I was just wondering about that one specific figure. Whoa scratch that, I went in today and they DO have them now. Nope, I decided to restrain myself and add the set to my Christmas list. I just pray they don't sell out before anyone can buy it, since there where only two boxes on the shelf. Last edited by TheFatPanda on Wed Nov 14, 2012 4:00 pm, edited 2 times in total.